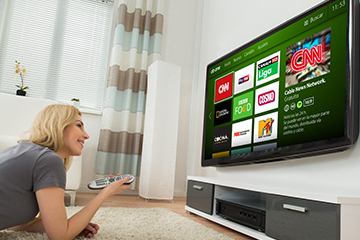 Digital TV technologies have experienced major changes in recent years, both in audio/video quality and in the connectivity and functionality that they offer to their users. 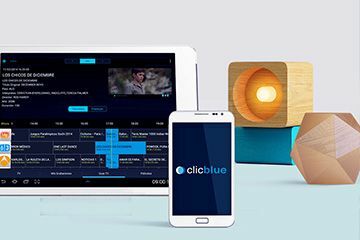 Today, the concept of “Smart TV” is applied to television platforms connected to the Internet, which are able to integrate software services or applications that substantially improve the capabilities of digital TV devices. Additionally, Tribalyte is registered as an official Reference Design Kit (RDK) developer, which encompasses a complete software stack for digital TV receivers, allowing shorter development time and reducing costs by means of standardization of the set-top-box software. If you think we can help you develop or integrate software for digital television, please tell us about your project. We are confident that we can provide the best solution for your needs. A company dedicated to developing and improving global tech platforms. Tribalyte Technologies S.L. within the framework of the Export Initiation Program of ICEX, has had the support of ICEX and with the co-financing of the European FEDER fund. The purpose of this support is to contribute to the international development of the company and its environment.